Beard, James; Illustrated by Earl Thollander. First edition of this collection of writings from James Beard. Octavo, original half cloth, pictorial endpapers, illustrated. 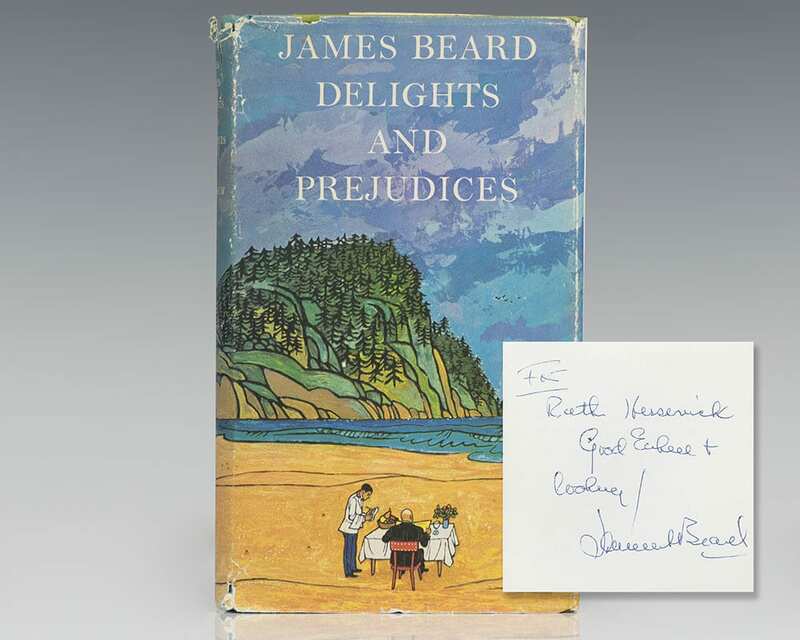 Presentation copy, inscribed by the author on the half-title page, “To Ruth Hessernick Good eating and cooking James Beard.” Near fine in a very good dust jacket with light wear to the spine tips. Jacket design by Earl Thollander. In this culinary journey, James Beard takes us back to the earliest days of his childhood when he started developing his precocious palate and lifelong “taste memories”—the ability to savor and remember the tastes and sensations of food. His enthusiasm for flavors, no matter how bold, would define Beard for the rest of his life. From devouring a raw onion as an infant to scouring the globe in search of local flavors as an adult, Delights and Prejudices is full of witty and illuminating stories that open a door into the world of one of America’s first and perhaps greatest epicures. Packed with more than one hundred fifty recipes, including corn chili soufflé, fried oysters, and peach preserves, this very personal account of his life is as close to an autobiography as Beard ever penned. First edition of this collection of writings from James Beard. Octavo, original half cloth, pictorial endpapers, illustrated. 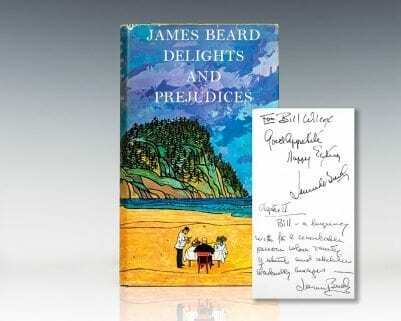 Presentation copy, inscribed by James Beard with a full page inscription. Fine in a near fine dust jacket with a touch of rubbing to the extremities. Jacket design by Earl Thollander. First edition of this collection of writings from James Beard. Octavo, original half cloth, pictorial endpapers, illustrated. Signed by the author on the half-title page, “Good eating James Beard.” Near fine in a very good dust jacket with light wear to the spine tips. Jacket design by Earl Thollander. Garden City, NY: Doubleday & Company, 1966. First edition of “the most practical and useful golf book ever written, covering every shot in the game and every aspect of play.” Octavo, original half cloth, illustrated by Anthony Ravielli. 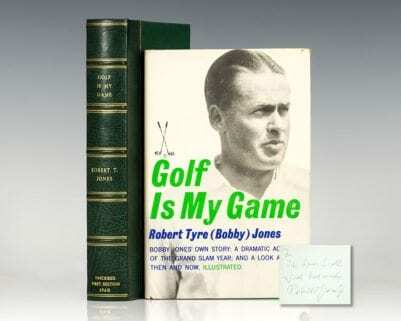 Inscribed by the author on the half-title page, “Byron Sites, Best wishes, Bob Jones.” The recipient was a member of The Peachtree Golf Club, which was designed by Bobby Jones. Fine in a near fine dust jacket. 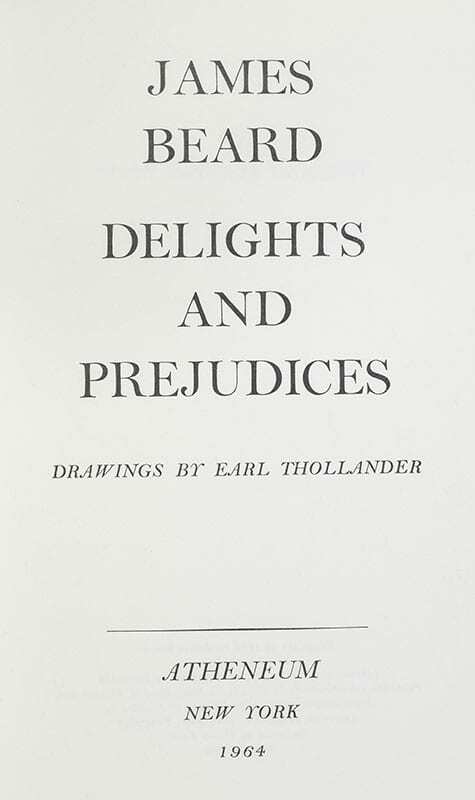 Introduction by Charles Price. 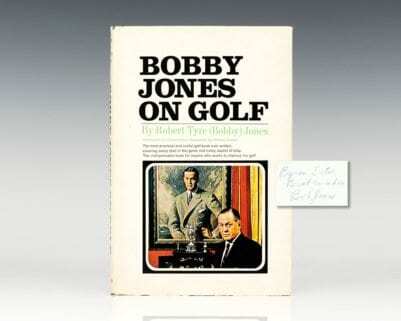 One of the more uncommon titles to find signed and inscribed, as Jones passed away in 1971.